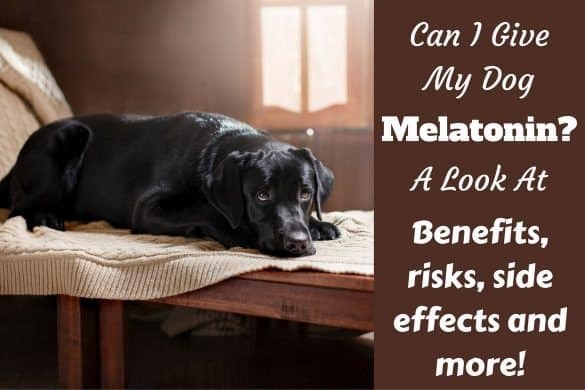 There are many benefits to having your companion crate trained, and if you have the luxury of space for one in your home, they are highly recommended as an excellent tool to help your dog both settle in, settle down and have a space to call their own. As crates are such a popular accessory, quite a few companies have finally started to address one of the major drawbacks to having a crate in your home - they aren’t the prettiest things to look at! With the availability of new, luxury furniture style crates on the market that double as an end table, lots of owners are now taking a second look at the products on sale to see which might best suit their homes look and design choices. But Most Crates are Ugly! For more information on the benefits of using crates, you can read our discussion here. 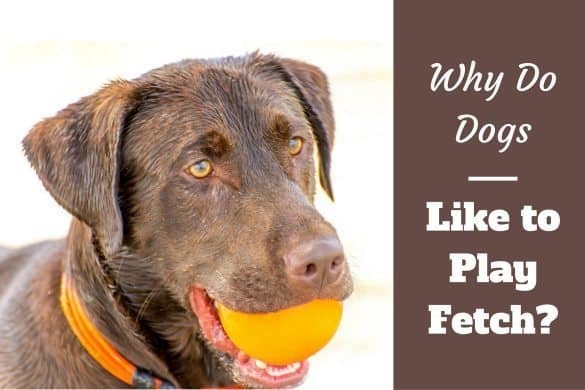 Even if you are the biggest believer in crate training, and see your dog confidently using their crate all the time, there is still no escaping the fact that wire crates - often considered the best - do not have looks on their side. You only have to be the tiniest bit house proud to think the look of traditional crates doesn't go well in most living spaces in the home. If you, like many dog owners, keep a crate in your main living space, it can ruin the look of a carefully decorated house. But, there is an answer! 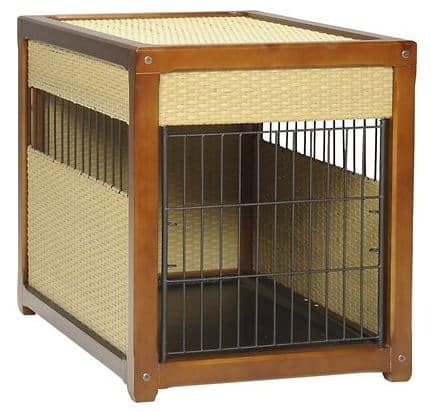 Designer, furniture-style dog crates made of beautifully finished wood are available, and they look great in any home. There are some charming ones out there, so we’ve selected a few of the best to discuss here. The following are 5 of the best designer, furniture style dog crates available on the market, hand-picked by us for being some of the highest quality available, that will - in our opinion - look good in any home. Designed to fit in well with modern decorations, this crate has stainless steel style bars, meaning it will look great in many living rooms or kitchens. The design means they work really well as end tables, so you can keep your dog close to you if you sit on the sofa. Many owners place lamps or photo frames on them to help blend in nicely with the look of the room. There’s no removable tray to help you with quick cleaning, so you do need to keep on top of cleaning it with a damp cloth or wipe to make sure it lasts as long as possible. 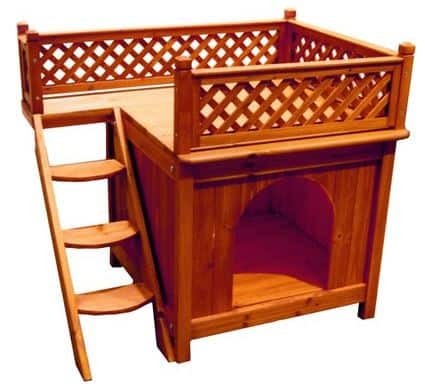 It's a 2-storey home for your pooch! It's got a cushy room for doggie snoozes, and steps that lead to a roof deck when they're feeling social. It's made with natural, weather-resistant cedar, so it can be placed outdoors. Cedar also has a wonderful, calming, woodsy scent. It is quick and easy to assemble with very few tools. This crate is not designed for larger dogs. You won't be able to use it as an end table, so your picture frames and vases have to go somewhere else. If you like dual-purpose items, this one transforms into a pet gate. Just take off the top and the unfold the "walls" and you've got a pet gate! It is easy to assemble, with no hardware needed. The crate is fitted with a removable tray to make it easy to keep clean. There is a huge level of visibility for your dog, which is much more on the level of the full wire crate, so they can feel a part of any events in the house even if they chose to sit in their own space. 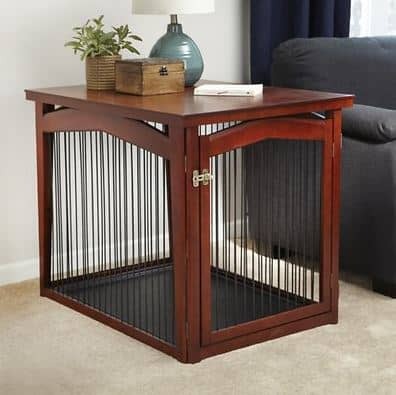 It’s slightly more obvious that it’s a dog crate than some other luxury products available, but it can still be used as a table to place flowers / photos etc. on to make it look great. This is a very stylish piece of furniture with fantastic craftsmanship. It has solid wood frames for extra sturdiness. It’s very easy to assemble, with ‘snap-together’ assembly only taking around 10 minutes to complete. The door opens 5 ways. Has a removable pan for easy cleanup. There’s limited viewing space for a dog in this crate. 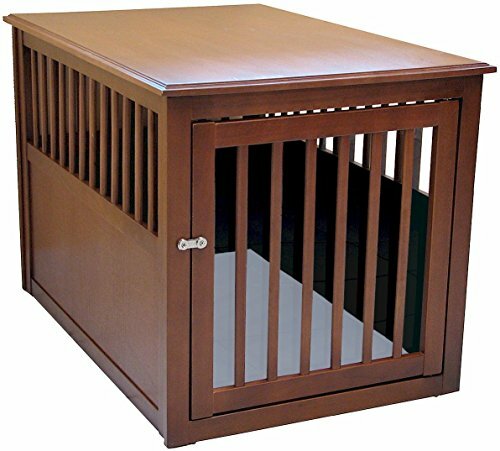 Available in 3 different finishes (Chestnut, Mahogany and Espresso), this crate offers your dog a full 360° view of the room around them via the barred openings, and will look great no matter what your choice of furniture finish. This product has a water proof finish, meaning any accidents can easily be cleaned up, and smells and stains won’t be absorbed into the wood. The large version of the crate is suitable for pets up to 80 pound. There are openings for your dog to see out on all sides. The door has full height bars, meaning your dog can see out even if you need to shut the door. It is relatively quick and easy to assemble, with most people managing to do this as a 1 person job. 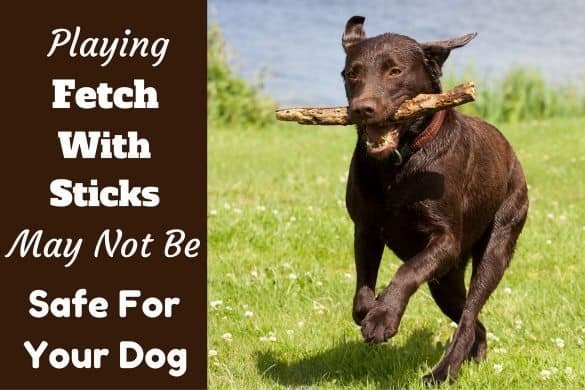 The finish does leave a smell which may take a day or 2 to disappear…you may want to build it a few days before you start using it with your dog to make sure they aren’t put off by something that doesn’t smell like your home. The great thing about the designer furniture style crates is there is such a wide variety! You really can afford to be picky if you decide to go for one of the luxury models rather than the traditional wire crates. Of course, with lots of choices, comes a difficult decision, so we have tried to take some of the stress out of the buying process by answering some of your questions below. The real advantage to choosing one of the luxury furniture-style crates is your starting point can be your décor – look at the color and style of the rest of your furniture and go from there! The range of finished woods available means you will be able to find something that suits your home. And the different vent/window sizes and shapes mean your dog will be able to take in the events in the room, even with their crate in a more ‘decoration-friendly’ space. So – take a look, and get measuring any unused spaces in your room. What are The Advantages of End Table Style Crates? The obvious advantage is that if you go for a wooden crate, you don’t need to find an inconspicuous area in your home to keep a large wire one, which can otherwise easily ruin the look of a room. With the traditional wire crates, many dogs were left in a corner, or somewhere ‘out the way’, meaning your pet can feel less a part of the family if they choose to lie in their crates in the evenings. With designer wooden crates being able to ‘blend in’ more with the rest of the furniture, it means most people are more willing to be flexible when it comes to placement within the room. The end-table style crates go one step further and can be used as a functional, useful surface. You can place ornaments, a telephone or objects like photo frames on top to make them blend in more or even perhaps be a feature. 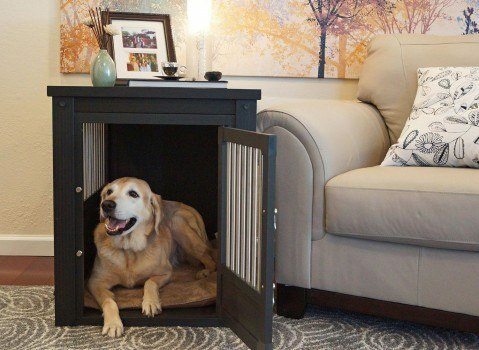 You can even remove current furniture to accommodate better your pets den if need be. These luxury products do vary quite widely, with the size of the windows or vents (normally a barred opening) being one of the main variants. Make sure you also think about where the crate would go in your room. There is a smaller area for your dog to see out of than in a crate made entirely of wire, so check you aren’t boxing it in between objects, or your dog may have less opportunity to feel a part of the family. What's The Best Way to Use These Products? With this type of crate being designed more to suit the home environment, they aren’t particularly well suited to travel - if at all! The wooden frames are likely to get scratched or dented if you try and take them in the car so ideally, you need to pick a place for your crate, and keep it there. If you do take your dog in the car, it's still a very good idea to have a crate available, so they are safe and calm during the journey. 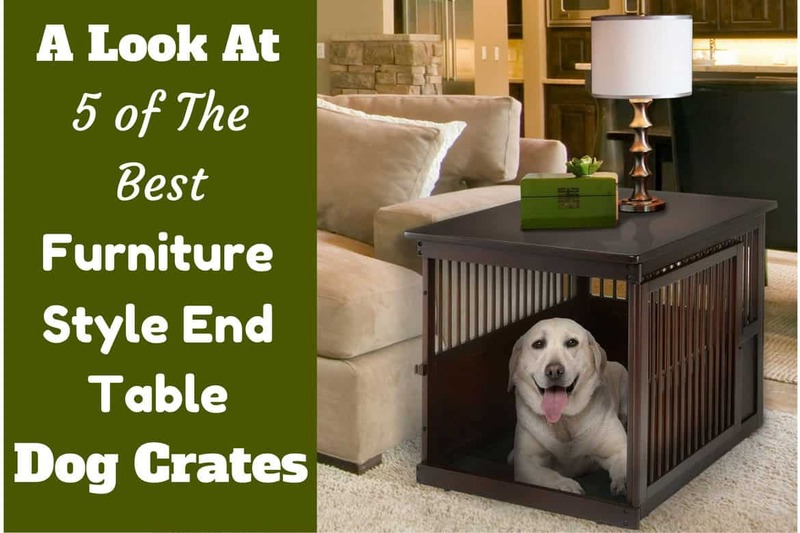 The traditional (and relatively cheap) wire crates work perfectly well for this situation, and if you crate train your dog at home, they should be okay with a different crate in the car. These crates are also not suitable for air travel, so if you do need to take your dog on a journey by plane, remember to get one that is airline approved before you travel. 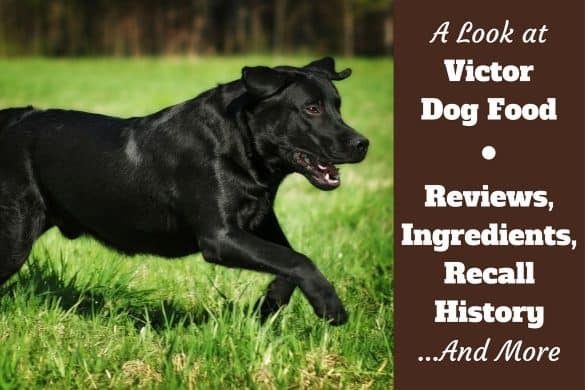 There are some questions about whether or not crate training is cruel, and this does put some people off using these fantastic tools. The fact is, a crate is only a ‘cage’ if it is used in that way, and if you use it correctly to help support your puppy’s development, then they have a much higher chance of growing into a loving, well-balanced and obedient family pet. 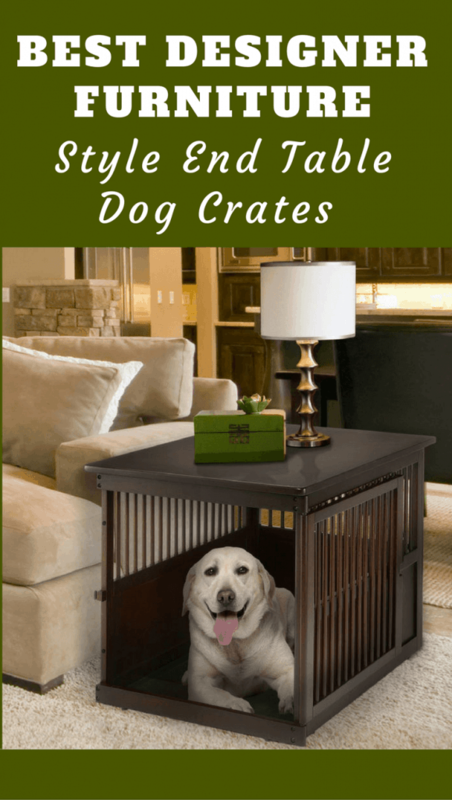 There is lots of advice on this site to help you use a crate correctly, and if you follow some basic guidelines, then your dog will learn to love it, and see it as their own private space within your home. If you are concerned about how to crate train a puppy, follow this guide which offers useful advice: A Step-by-Step Guide to Crate Training a Puppy. 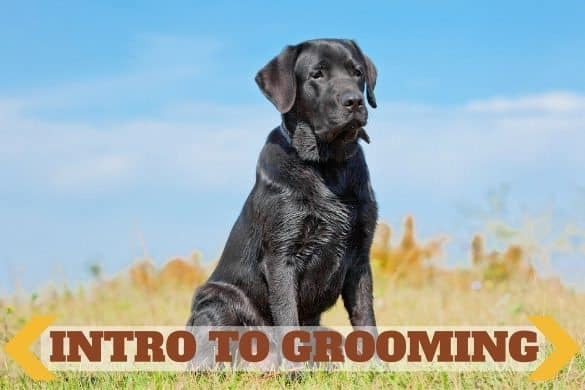 The most important thing to remember when considering getting a crate, is you need to know how to crate train your dog correctly. Always seek advice if you’re unsure, or worried you may be using the crate in the wrong way, or for too long a period each day. 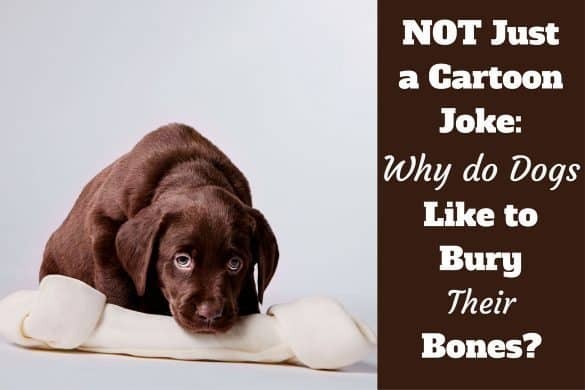 Remember that you need to make sure you’re buying a crate for your dog, not your puppy! If your pet still has some growing to do, you need to ensure they’ll be able to stand up, turn around and stretch inside the crate once they are fully grown. These products are a costly investment, so make sure you measure carefully and look for the measurement of the full furniture piece plus space for ventilation. If you’re looking to move away from the less than pleasing look of the wire crates, within the list above you’re bound to find something to fit in with your house and lifestyle. Whether your home is traditional or modern, I'm sure you'll be able to find a luxury, finished wood crate to suit your tastes. Wonderful Post. Excellent designs in your end table for dog. This is very wonderful designs. you are so creative. I am trying to follow your technique.